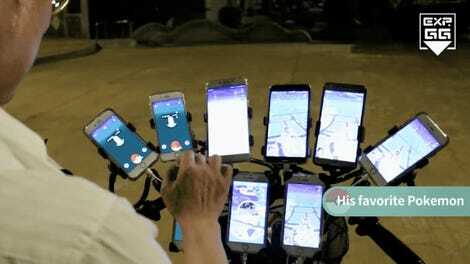 Last year, Taiwan’s Chen San-yuan went viral with his bicycle contraption to which nine phones were affixed so he could play Pokémon Go around Taipei. Now, he has more phones and a new gig: ambassador for Asus ZenFone smartphones. As Apple Today recently reports, Chen now has a whopping twenty-two smartphones rigged up to his bicycle. Last month, Chen appeared at an Asus press conference. 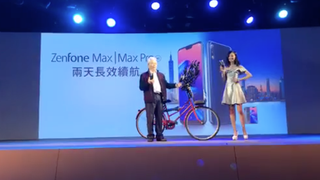 He’s become somewhat of a local celebrity in Taiwan, so seeming on the streets of Taipei, using ZenFone Max Pro phones lets the company show off the battery life and GPS capabilities of his phones. And it lets Chen catch a whole bunch of Pocket Monsters.